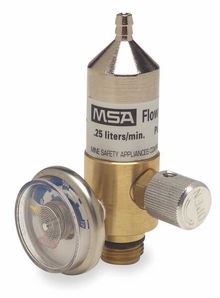 MSA 467895 fixed flow .25 LPM regulator is designed for R and RP calibration cylinders. The fixed flow design provides constant and accurate flow to the instrument pump or aspirator. Approved for all MSA calibration gases.